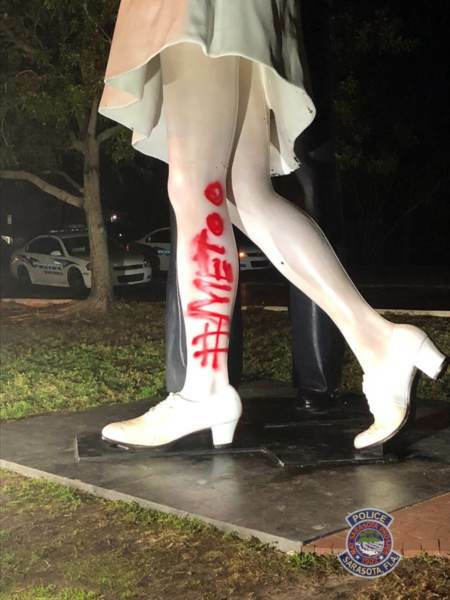 The statue in Sarasota, Florida, was targeted by an activist who wrote “#MeToo” on the woman’s leg with red spray paint. 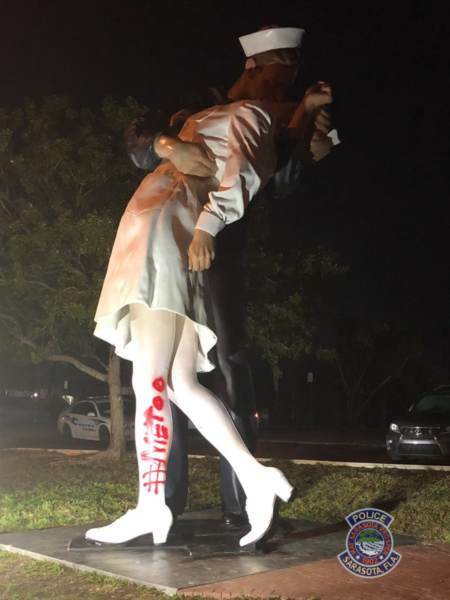 “This morning, February 19, 2019, at approximately 12:53 a.m., Officers with the Sarasota Police Department were dispatched to the intersection of North Gulfstream Avenue and Bayfront Drive reference to an unknown individual spray painting ‘#MeToo’ on the Unconditional Surrender statue,” the Sarasota Police wrote in a statement. The police department estimates the damage is going to cost more than $1,000 due to the large area the graffiti covers and the resources needed to repair it.